Traffic officer checking a driver's licence. Christchurch Star Archive. In copyright. CCL-StarP-00322A. 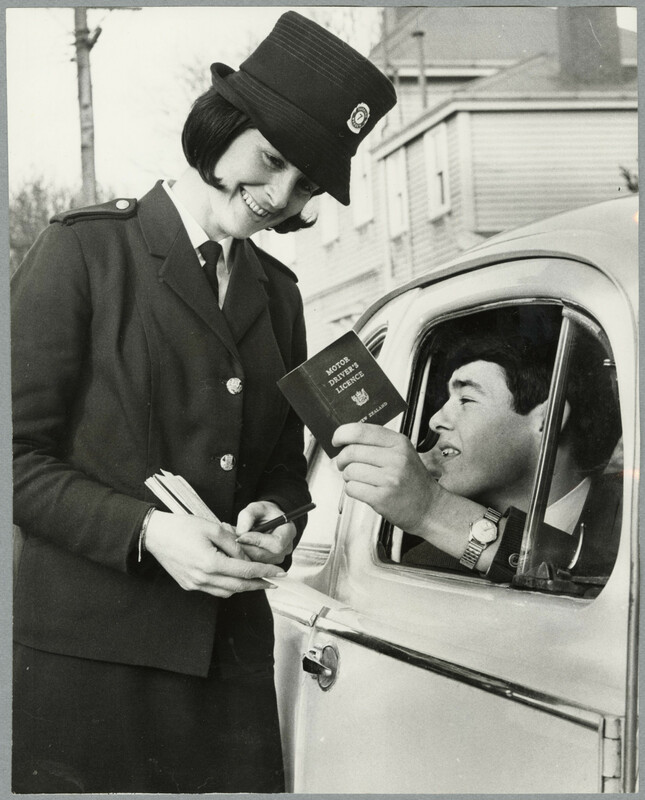 Miss P. Stokes, traffic officer, checking the driver's licence of a man sitting in a car. 12 August 1967. Do you have any photographs of Christchurch in the 1960s? If so, feel free to contribute to our collection.